On the 2nd of July 2011, Butch, a loving husband, amazing dad and all out incredible man left this earth for his next big adventure.. The family (us) ask that those that wish to send condolence gifts send them in the form of a donation to this wonderful charity. Butch always felt that clean water was something we were lucky to have and took for granted and if $10 could provide a person with clean water for 10 years he would appreciate that we try to help improve the lives of others. 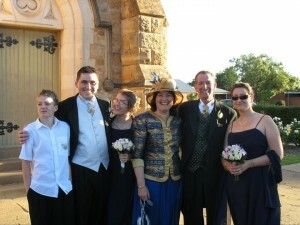 Much love and gratitude Elly, James, Charlotte, Georgina & Joshua.